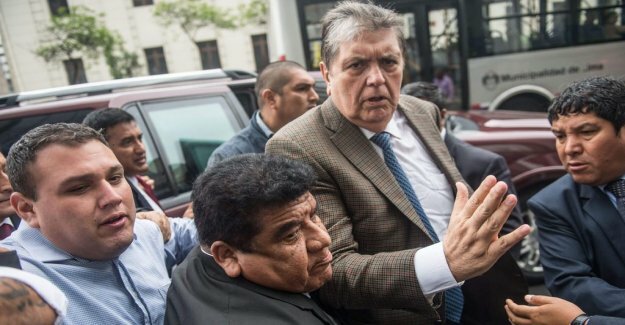 Alan García, who was 69 years, were investigated for corruption. The charges against him have been about bribery surrounding the construction of the public transport system Tren Eléctrico in Lima, and is included in the Odebrecht-the scandal involving the wheeling and dealing in almost all of Latin america. García has repeatedly insisted that he is innocent of the charges. In the year, asked García for political asylum in Uruguay since he was forbidden to leave Peru, but was denied by Uruguay.